What’s more flattering than finding an 8bit pixelart avatar of you in the game? 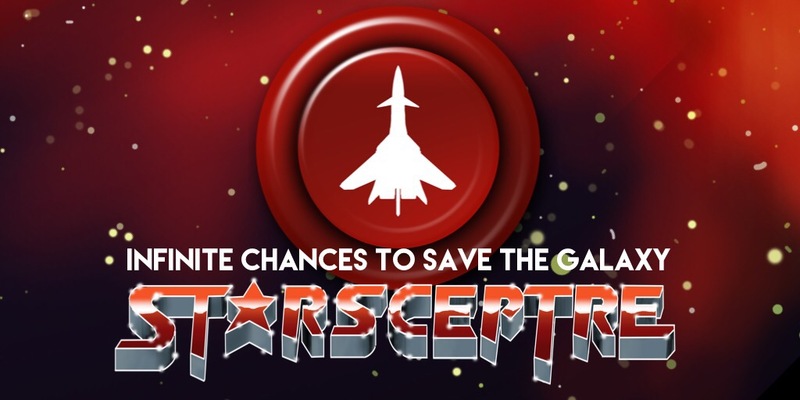 Starsceptre has been putting gamers into the game since it’s inception. Using a secret screen accessible from a flashing star on the main menu, you can enter legendary codes like the Konami Code plus unique ones to unlock player avatars. All a player needs to do is drop us a line on social media and we’ll put you into the next update! So my new tweet is resonating really well: it would seem people love the idea of making games on the go, something #Codea does so well. It enable me to make my long time dream come true and I hope it does for you too. I was wrong. I thought I had it nailed and I didn’t. 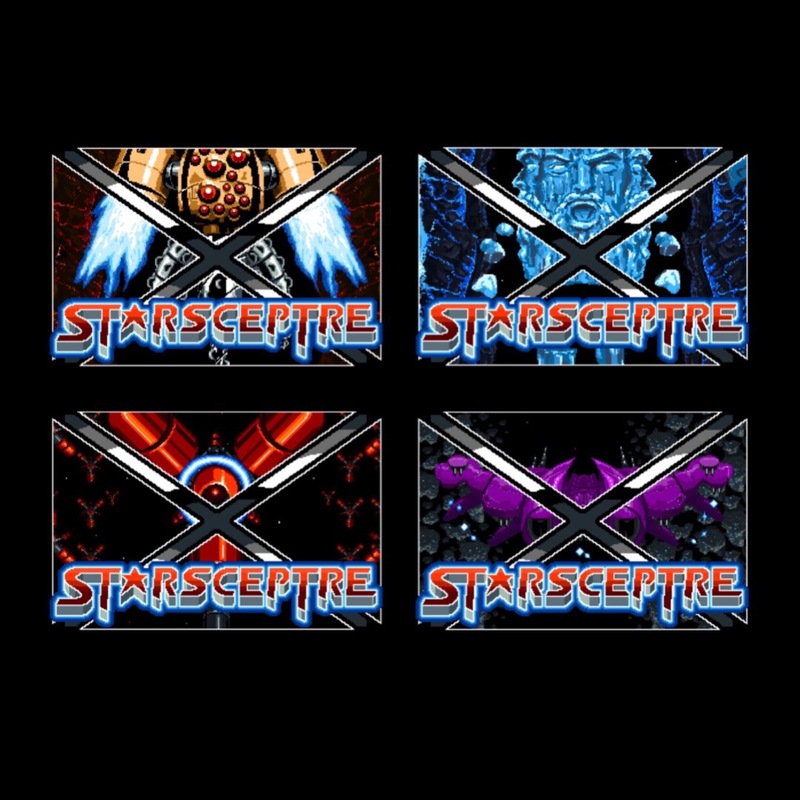 I had made my new game Starsceptre with a really cool tilt mechanic for gameplay and I thought everyone would love it. It doesn’t mean the game is a failure – universally everyone loves the graphics, the premise and they especially love the music (my favourite part). I just I needed to learn an important lesson and that is to listen more to the audience – in this case gamers who know what they want and love even from a little game like mine. You see gamers love controls they use all the time and, whilst some have taken to tilt well and love it, many are closed to the idea. But herein lies the opportunity: make an alternative control system with a UI they love using and make it in a way it mimics the movements I’ve captured in the original tilt mechanic. And actually, what I’ve found is I quite like the new alternative system. It’s the best of both worlds and doesn’t feel like a compromise. Now how to implement it? Well some would argue that setting your original control mechanic as default and letting gamers change it is the way forward. I love choice, so I’ve baked into the new version (when I finish it that is – so pull your finger out Ed) so that when the updated game first boots up, you are presented with the choice – Tilt or Stick. And I’ve also baked it into the settings menu. Of course the button icons are missing and the UI needs designing for the stick and button, but you can see it working. That’s why I love coding on my commute, I can make changes quickly and test them on the go with Codea. 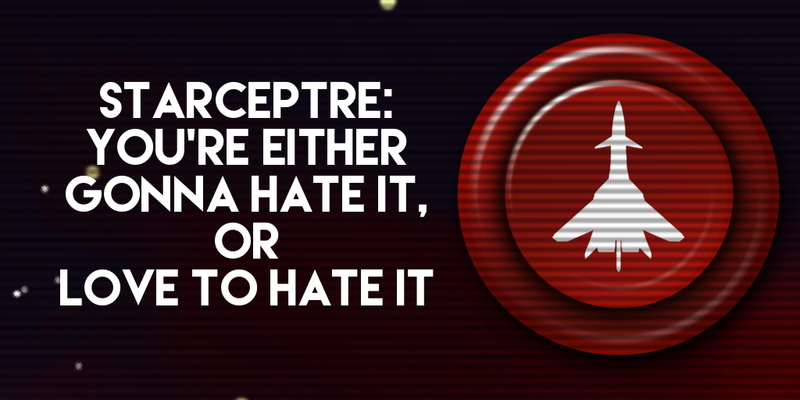 But here’s the clever bit: what if you don’t like what you’ve chosen mid way through a game? Well, if you hit pause, the two very same options are there so you can switch between them. So will it work? I think so. But we’ll just have to wait and see! Having spent over two years of my commuting time making my latest game, I’ve finally finished and it’s now live on the App Store, for iPad and iPhone. Now I’ve always wanted to make computer games and as an 18 year old back in 1992, when I chose my career, the idea of joining a 20+ person development team wasn’t my cup of tea – I wanted to make my own games. I’ve always known the power of real insights to lead to great creativity. Back in 92′, playing Starfox on the Super Nintendo round my friend’s house, I realised something: Watching other people playing games, their bodies were moving as their brains were screaming at them to avoid lasers, asteroids and space ships all hurtling towards them on the screen. Now the insight was this – we can’t help but move our bodies playing games, yet the game controllers didn’t respond to your body’s movements. The joysticks at that time just had buttons or sticks you moved or tapped. So how could this natural body movement be used to help players? Wind forward 23 years and I had a double brainwave on how I could finally make a game. I remembered the old insight I had when I realised that mobile devices had accelerometers that measured the tilt, speed and angle of the device. Secondly, I realised I only had spare time on my daily commute, so I needed a way of coding on the go. So I found an app called Codea and finally my game reality would start to take shape. 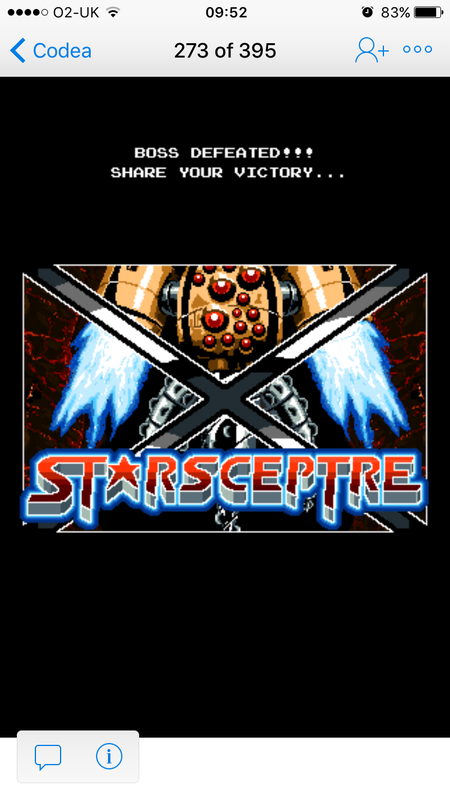 Coded directly on my iPad, Starsceptre would become a classic pixelated retrogame, the first of a series of ‘commuter-made games’ that use a unique control system for mobile devices: an intuitive tilt-mechanic that responds precisely to your every movement making for a fast and furious shoot em up. And now that it’s out, I’d love to know what you think. About a year ago, I was at lunch showing my long time friend, Odd Nydren, my game. It was about halfway finished (although I kept convincing myself I was weeks from finishing) and he loved it, but it was missing one crucial thing – the ability to share your progress in the game. Now my friend is someone I had met through work, and out of professional respect for each other’s work, skills and mindsets, we became great friends. So when he tells me something I have to listen. My initial reaction was to be scared. Not because I didn’t want sharing (it’s the opposite, sharing is crucial) but I didn’t know how to code that part. It had taken all my energy and learning to create the game in a language I was comfortable coding in. And creating the share tools is a scary proposition as it requires coding in XCode – something I don’t have to do with my game thanks to Codea. So nearing completion, I couldn’t put it off any longer. I had to get upstream of the problem and find a solution. As I had already been in touch with the awesome developers behind Codea, I reached out again. They already loved the progress I had been making with my game in their app and so I asked if I could pay them to make the sharing code. What happened next was wonderful. Simeon, one of Codea’s architects and developers said he’d love to create an open source sharing code that all users of Codea could use in their projects and so there was no cost. This is a great example of where money isn’t always the reward. Simeon and the amazing people at Codea realise they have an awesome app and listen deeply to their users needs, tweaking and adding things we need to make our own games a success. In a short space of time I had a piece of code sent to me that enables me to share a screenshot and a link to a Twitter post that the user can add a message to. And it was dead easy to integrate into my code. So Simeon’s code takes a screen grab of your game and places it into a tweet. Now twitter has an image preview that is quite shallow in height, even though it is sharing a full screen screenshot. The trick here was to design an image that fit the twitter preview size perfectly whilst conveying the game title and something dramatic. Here with each boss defeated you see their image with a huge ‘X’ through over them. You get a sense of the game’s pixelart style as well as the imposing form of the boss itself. The fact you have defeated them is impressive, and at the same time you’ve not given any spoilers away with your tweet giving off a sense of intrigue to future players. Things like this make my indiedeveloper life so much easier to concentrate on making the game the best it can be. And it makes it fun to see people share it too! When you embark on making a computer game (I sound so old don’t I) the things I always remember for classic games were the amazing cover art. It had the power to take you to the game’s world and enhance even the most basic of in-game graphics. And that’s been a key part of the fun of making my own game. Even though it’s a mobile device game I still want players to be transported the way we were when we were kids. If you haven’t seen it, I massively recommend the ‘Art of Atari’ book – so beautiful and detailed. That’s the power of game art in the real world. 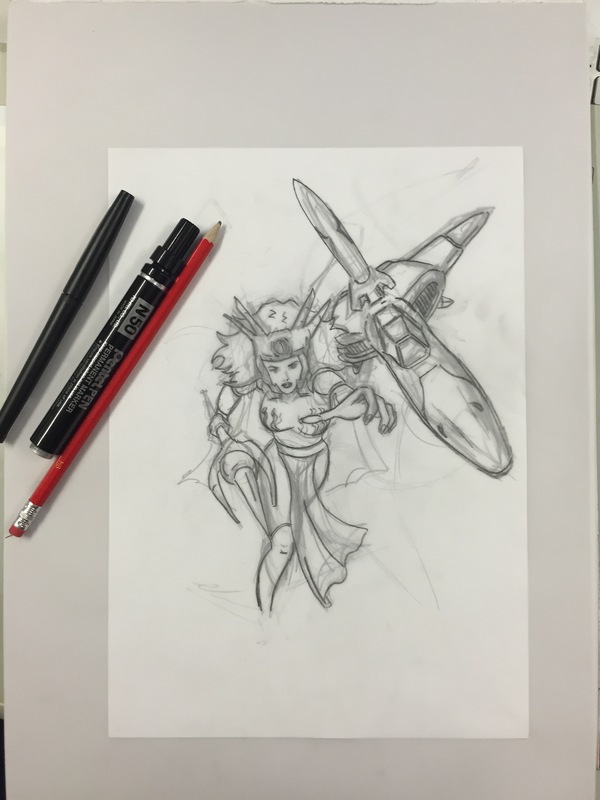 So it was I embarked on Starsceptre’s poster using pencils and pen. There’s something magical when you lay the lines down on paper and use tracing paper over the top to start to refine the lines. To make them smoother, to reduce the strokes so that it starts to become graphical. I’ve been lucky to have created comic art back in the days of school and college, and even though that was decades ago that skills has always come in handy for scamping ideas for ads or storyboard panels. So it was I re-created the star fighter from my game and the lead character. Yes, Onalee is the lead character. 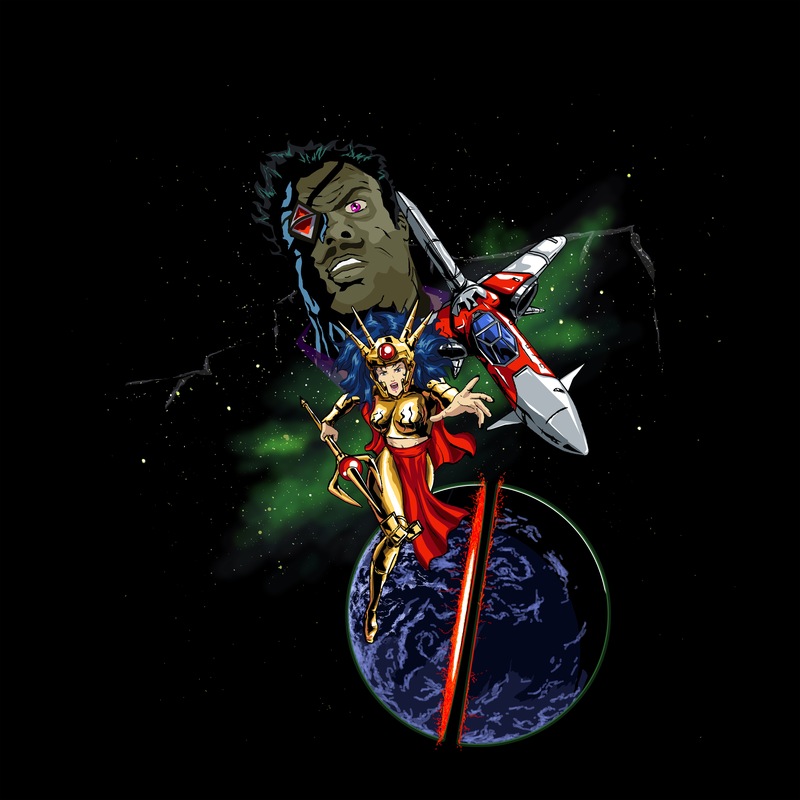 She’s your rock in the world and helps you overcome the barriers of endless barrages of bad guys and bullets. The other character who represents the pilot is less important because you, the player, are in fact the pilot. And as you are a rookie in the game and as a real player you need someone strong to support you. But when I came to draw Onalee I struggled with the first pose. And so it was I reached out to an old friend, from school and college, who’s skills as a comic artist had jumped light years ahead of my own – David Stokes. I remember in college, we would draw and collect comics together. David always thought that my style was better than his, but he had an amazing style that you could feel, not just see. 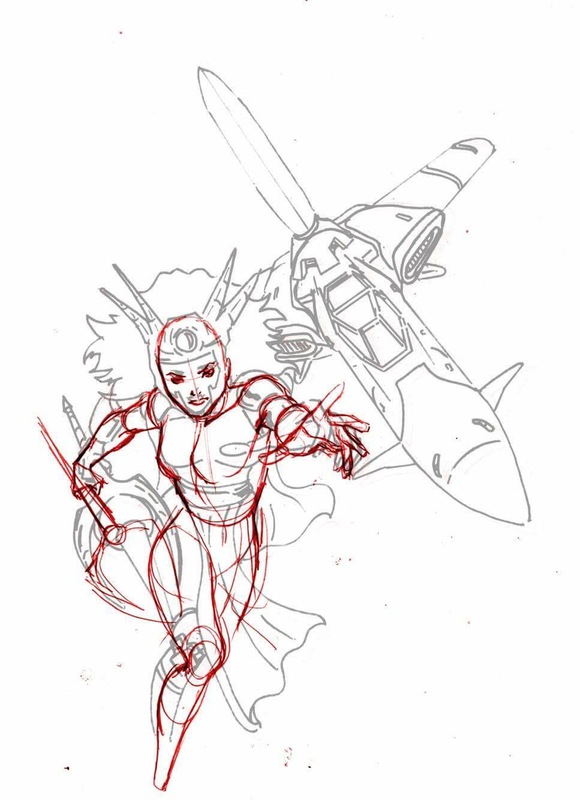 So I asked David for his help with the lead illustration and he kindly drew over the top of my sketch what would really help the pose and adding a natural dynamic to her movement. And that helped me in ways you can’t imagine. Now I love working with digital tools, especially when colouring and adding light and shade. It’s really forgiving for me to work this way. My initial approach (above) was to create an anime style colouring and shading. Whilst it looked good, it was missing an energy that 80s posters had. So it was I decided to reorganise the layout and add the main villain. This creates a double layer of energy to the poster. The villain grabbing for Onalee and the Sceptre and Onalee grabbing for us, the audience. I still wanted it to stay vibrant, but add the brush strokes that really made it come alive. It’s so cool to mix approaches for the poster art. I’ve had lots of great feedback from other artists and gamers. I’d love to know what you think too! 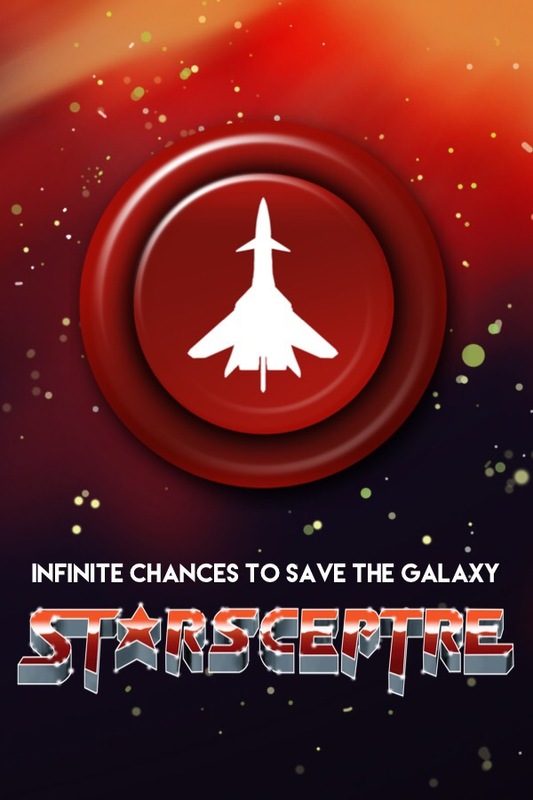 That’s how long it’s taken to make #Starsceptre – my first ever #shmup or rather a #tiltnshmup as I venture into a new way of playing games on your mobile device. That’s a long time to spend making something. Luckily, people have seen it as I’ve been making it since day one and that has spurred me to make it happen. So it all started with an idea: how can I make an app using only my spare time? The type of app was easy – I’m a #retrogamer having played 8bit and 16bit games all during my childhood in the 80s and 90s. I was good at pixelart and not bad at coding, just nothing too complex. So how was I gonna develop this game in my spare time? I didn’t want to carry a laptop around with me all the time and great tools like Unity doesn’t exist yet on mobile devices. When it came to my spare time, I have a family so it’s hard to be a dad and try to make something this challenging so I had to be smart about how I use my spare time. For the graphics and design, I would use the late evenings on my laptop at home to create assets to code later, usually when everyone was asleep. For the code I have a 90 minute commute to work each way, where I can spend 50mins coding on my iPad on one train, and then if I get a seat, another 30 mins coding on the London Underground. So each day I could commit almost 3 hours of coding when I was just sitting on the train. Not bad huh? Ever played a #tiltnshmup? Didn’t think so. So what is it? Quite simply its a shootemup (shmup) that you control via tilt. 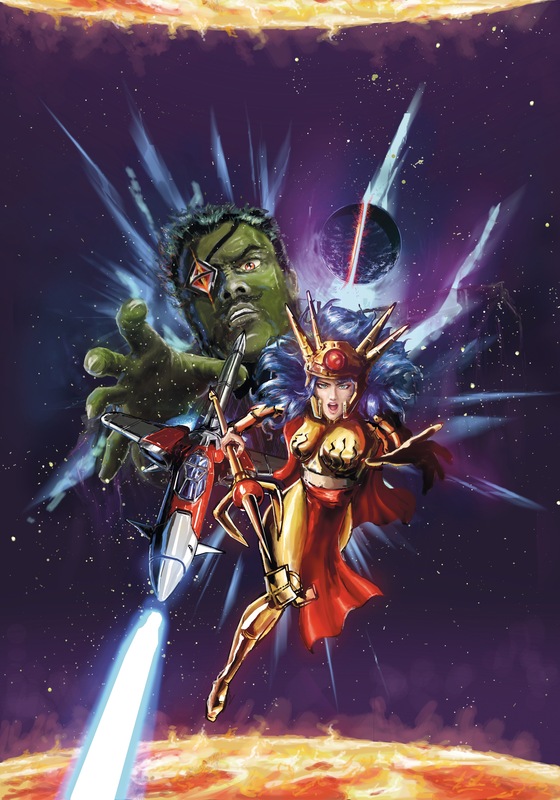 Still don’t know, check out our #Starsceptre game in action.